The first step in the mold remediation process is to wear the correct protective uniform for our workers and to protect the occupants. Making the initial mold assessment during the inspection and after the mold removal process. The possible cross-contamination and the expansion of a contaminated area to an area with little or no contamination is to be controlled. One of the most important and crucial parts of the process is the removal of the mold in which our mold specialists physically remove it from the affected area. The drying of the home and removing the initial humidity and moisture that allowed the mold to grow is completed. Why Choose us for Mold Remediation and Removal? We use the latest and best mold removal techniques that guarantee not only safety for you and your family. We make sure to protect the rest of your house during the mold remediation process to avoid further contamination. Moreover, making sure that everything throughout the process is recorded and monitored. Our technicians have years of experience in water restoration and mold removal. With their extensive training in the field, they are capable of handling any job big or small. The mold removal process for every home and business usually varies, but the general steps stay the same. Contact our Mold Remediation specialists as quickly as possible. An initial inspection is carried out to assess contamination. The drying and dehumidifying begin to avoid future mold growth. 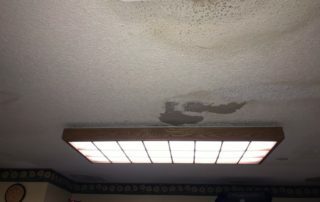 Water Damage Restoration Miami is rated a leading Mold Remediation company in Miami-Dade County. If you have any questions regarding a mold inspection call us today. The majority of residential homeowners do not know they have mold growing in their home until it is largely contaminated. After we complete the first inspection and the confirmation of mold being present in the residential or commercial property, removal is always needed. 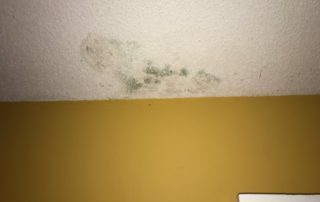 There are dozens of articles you can read online that relate to the negative health concerns that come from exposure to mold. Here at Water Damage Restoration Miami, we always provide the latest equipment, technology, and strategies when removing mold. Mold spores are extremely small and weigh close to nothing, which makes them able to travel far distances through the air. We always take the proper mold removal techniques to make sure mold spores do not travel and contaminate new areas. We work around the clock to make sure we restore your property back to its original condition. If you need a water, fire, smoke, or mold restoration quote call us today or leave an email! What is Mold Contamination and Mold Remediation? There are many questions that arise when questioning microbial contamination and what can be done to remove it. 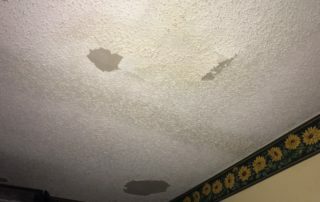 Luckily, we at Water Damage Restoration Miami have all the needed information to completely rid your home of mold through our proven mold remediation process. To begin, Microbial contamination a.k.a mold refers to various microorganisms which include mold, bacteria, and viruses. Moreover, all of these are a threat to your personal health and the health of any other occupants in your household or commercial building. 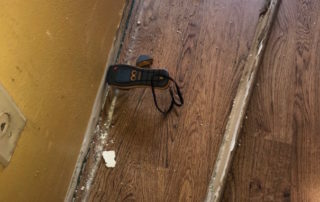 The process begins with identifying and stopping the source of moisture with fuels mold growth; Preparing and setting up containment to avoid spread of mold to other areas of the house hold; Establishing negative air; removing all contaminated materials in the building or home; drying the affected area; and conducting a post remediation analysis and evaluation. Drying is the most essential element to any successful restoration. Part of every mold remediation project is to be sure everything in the structure is completely dry and rid of any contaminated items. If it is not, once the mold remediation job is completely, mold will begin to grow as the spores return to the site. The extraction phase removes the majority of the liquid water that is present in the affected area. Moreover, takes out the moisture that is found in dry wall, plywood. and carpets. The drying process is further extended on by applying the psychometry to set up the drying system to maximize drying efficiency. Containment is what will keep the mold from spreading and affecting other areas. A very simple kind of containment is simply closing the door between a contaminated room and the rest of the property. However, when performing mold remediation, containment needs to reach a level of full closure requires more than just a closed door. Containment of mold is usually put together with a medium slip of polyethylene sheeting. Once the containment process is completed, negative air pressure is put inside the containment area. This is done to make sure there isn’t anything that will escape into the clean air that is outside of the contained area. Next, when putting a barrier next to a wall, our technicians consider that moisture can accumulate in-between the barrier and the surface. There are three different types of containment and usually will depends on the complexity and size of the mold removal job. This is determined during the initial mold inspection of the property. Moreover, they are source containment, local containment, and full containment. Source Containment – this is usually used for smaller areas that are contaminated. Our technicians use this for places that are suspected of mold growth. Before installing the cover, our team HEPA vacuums the area. Once the vacuum has been used, the inspection is performed to see if the area has further mold contamination. The HEPA vacuums are used to control airborne particles from the contained area. Local Containment – This involves affected areas of 10 sq. ft. to 100 sq. ft. Like the source containment, negative air pressure in this space may be obtained by using a HEPA vacuum cleaner. Our team uses this form of containment for larger remediation jobs. First our mold technicians setup a polyethylene to create an isolating room. This becomes the remediation site and separates the areas that are not contaminated. Full Containment – a full scale containment includes barriers and negative pressure using the HEPA air filtration devices to contain mold fragments, spores, and dust during the mold remediation process. This kind of containment is usually for large rooms or for commercial buildings. Moisture Maps is a solution to identifying the areas and quantity of moisture in items that are being dried which may include plywood subfloor, drywall, and more. The second condition document includes the record of drying conditions which is used to record the humidity of the air in the affected areas as well as temperature. These to forms of monitoring combined help determine how to maximize drying by your mold inspector or water damage specialist. The human body can be exposed to contamination by three different ways including skin contact, inhalation, and ingestion. Here at Water Damage Restoration Miami, we use personal protection equipment to make sure our team does not get affected by contamination during the mold inspection. Our company’s mold specialists are trained and are certified to protect your home and its occupants of mold during the microbial removal process. After the drying process the use of different antimicrobials and biocides are using to effectively kill the mold present in the home or office space. Today, there are a large selection of different antimicrobials that may be used to kill mold. Our specialists only use the most effective solution to kill mold in your home. There are three levels of antimicrobials that are using in the mold removal process: Sanitizers – which are products used to reduce the amount of mold but not kill it completely, however to levels that are perceived safe by our public health codes. Next is disinfectants – these are products that kill and/or make 99.9 percent of the mold become inactive. Moreover, this is used to destroy or make infectious fungi and bacteria inactive. The last of the antimicrobials is Sterilizers which is used to destroy or kill all forms of microbial life which include fungi, viruses, and all forms of bacteria and the spores. When working on mold remediation projects or proceeding with a mold inspection the most common questions to ask is what exactly is contaminated? 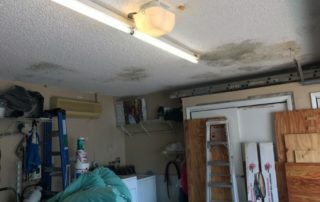 Yes, there is mold that may be seen, however that does not mean that what is seen is exactly how far the mold has traveled in a residential home or commercial building. Considering that mold is microscopic the obvious concern is if the technician carrying out the mold inspection cannot see what is affected, how can they be sure the resident or affected area is clear to reoccupy? We are experts in mold Remediation and our technicians have over a decade of experience dealing with both commercial and residential cases of mold. How Wet Does Any Organic Material Need To Be To Support Mold Growth? The amount of water in a material is commonly known as the materials moisture content. Moreover, the percentage of moisture is the amount of moisture in an affected item compared to its general weight. 30 percent is the quantity of moisture needed for an item begin to rot. 20 percent moisture content is the amount of water needed in order for mold to begin growing. However, with only 16% moisture content any item that is affected can still begin to have mold growth. Furthermore, the large amounts of water in any organic material is what promotes and allows mold growth. The two terms used in mold remediation and mold removal to find out the amount of water in any given item is Equilibrium Relative Humidity and Water Activity. Moreover, the term Equilibrium Relative Humidity is a state where wet material is not gaining or losing water. If there is wood in a humid area it will absorb the water out of the air. However, if you have a wet piece of wood in a dry environment it will begin to lose water. A normal indoor living environment, This is a place in which one would expect in a home, commercial space, or building. An indoor environment that is highly contaminated with mold spores and fragments. Moreover, this area is more than likely near active mold. Furthermore, this may be present in a closet or humid area. An indoor environment contaminated with mold in which it is visible and has active mold growth. The objective of the remediation process is quite clear, to remove all of the mold and contamination present in an area. Remediating mold includes removing the mold from the area on which it is growing or removing the material overall. Our technicians must always determine that there are no potentially dangerous materials in the area such as lead and/or asbestos before commencing in any job site. Each mold remediation and mold removal case is completely different and will always need various amounts of removal of contaminated items and cleaning. The choice during the remediation case boils down to what is more cost effective to clean, or remove and replace? In most cases, it is more cost effective to remove or replace drywall, however it is almost always a better decision to clean framing lumbar. All heating, ventilating and air conditioning systems are a major part of many indoor structures that are used by people. As these systems impact the air in the area, they also become very important when it deals with indoor contamination. Moreover, forced air systems work by taking in air into the return lines. If the air structure is contaminated by mold, or by mold spores, the airborne contamination will spread throughout the entire building or home. Our mold remediation process requires our technicians to shut down the system during the mold removal process. When visible mold is on carpet or in a room of a home, our technician addresses the forced air HVAC system by isolating the components in the affected area. Cleaning mold contaminated systems requires the use of only EPA registered and approved antimicrobial biocide products in which we used for any mold removal case. Being rated as one of the best water restoration companies in Miami, we focus on providing our local community the best customer service with Water Damage Restoration and Repair, Mold Remediation, and any other restoration service that may be needed.